Marc J. Cardinal | Shannon B. Jones Law Group, Inc.
Marc J. Cardinal graduated from Santa Clara Law School in the top 10 percent of his class in 1998. 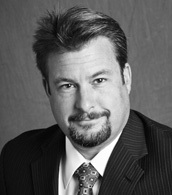 Since law school, Mr. Cardinal has gained extensive litigation experience representing his clients in numerous legal matters including: real estate; construction; business disputes; personal injury; products liability; and trade secret. Mr. Cardinal also has experience in negotiating and drafting commercial agreements, licensing agreements, employment agreements, distributorship and wholesale agreements, partnership agreements, franchise agreements, shareholder agreements, non-disclosure agreements, non-compete agreements, corporation and other business organizations' formation documents. In his free time, Mr. Cardinal enjoys spending time with his wife Brenda and son Colton. Mr. Cardinal is also an avid lacrosse player; playing field lacrosse with the Palo Alto Lacrosse Club and box lacrosse.